Studies on the predictors of mathematical learning and learning difficulties have been receiving growing attention. It is well established in the literature that IQ is a powerful predictor of several psychosocial outcomes, including school achievement. Other well-consolidated literature shows that cognitive–motivational effects exist but are rather small. There seems to be a big interaction between interest and specific knowledge in a domain (expertise). Variance is confounded. In this chapter, motivation and math anxiety are described within the opportunity–propensity (O-P) model including antecedent, opportunity, and propensity indicators to predict mathematical accuracy and fluency. Analyses on secondary data using this O-P model revealed that motivation as a propensity factor accounted for 10% of unique variance in addition to other predictors. Motivation and engagement were stronger predictors from kindergarten till second grade than from third till sixth grade. In addition, math anxiety might be considered a moderator of the relationship between mathematical achievement and motivation. 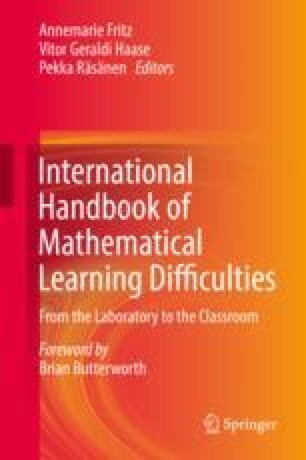 Aside from acute effects, math anxiety might cause long-term negative impairments in mathematical performance that are kept up by a negative approach to mathematics and resulting avoidance behavior. Duncan, G. J., Dowsett, C. J., Claessens, A., Magnuson, K., Huston, A. C., Klebanov, P., et al. (2007). School readiness and later achievement. Developmental Psychology, 43(6), 1428–1446. https://doi.org/10.1037/0012-1649.43.6.1428; https://doi.org/10.1037/0012-1649.43.6.1428.supp (Supplemental).